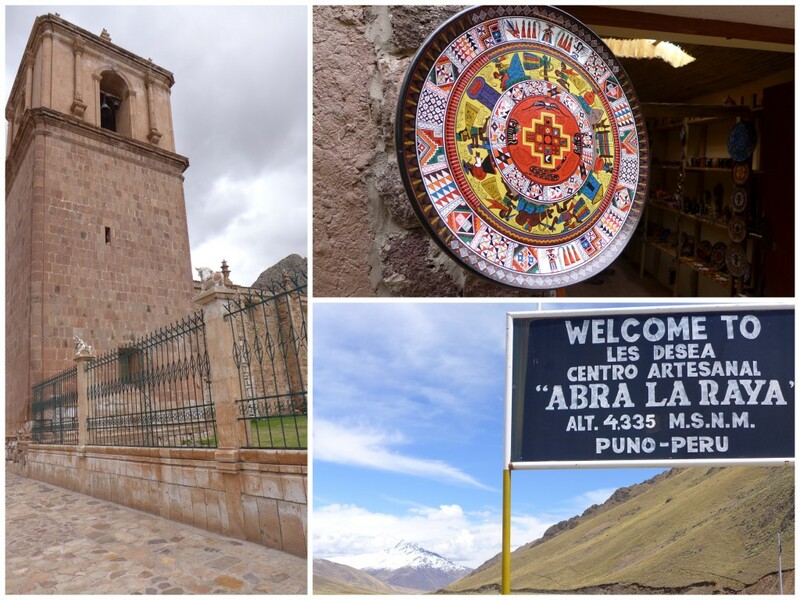 Between Cusco and Puno lies an eight hour bus ride. After a day to recover from the tiresome trek to Machu Picchu, we were ready to head off into the next destination — Puno. A city known as the must stop for Lake Titikaka (Titicaca). Lake Titikaka is often called the highest navigable lake in the world, with a surface elevation of 3,812 m (12,507 ft) and a surface area of 8,372 km2 (3,232 sq mi). As if we’re not toured out, we opted for a tour bus to Puno that makes several stops along the way to see churches and ruins. Just when I thought I had seen enough churches in South America, I was caught by surprise. 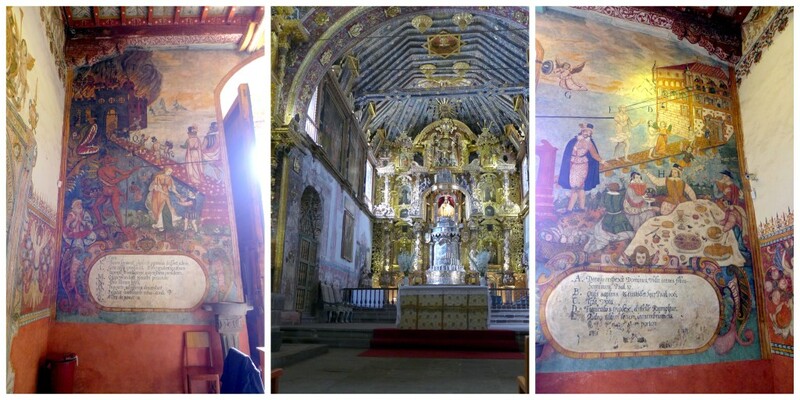 Our first stop was the Church of San Pedro of Andahuaylillas. Church of San Pedro of Andahuaylillas. Built by the Jesuits in 1570 and completed in 1606. Inside this ordinary looking church were multiple layers of murals and frames overlapped through various eras. I read it’s also referred to as the “Sistine Chapel of the Americas” but it would probably be better not to hold that expectation going in because the church itself is quite compact. 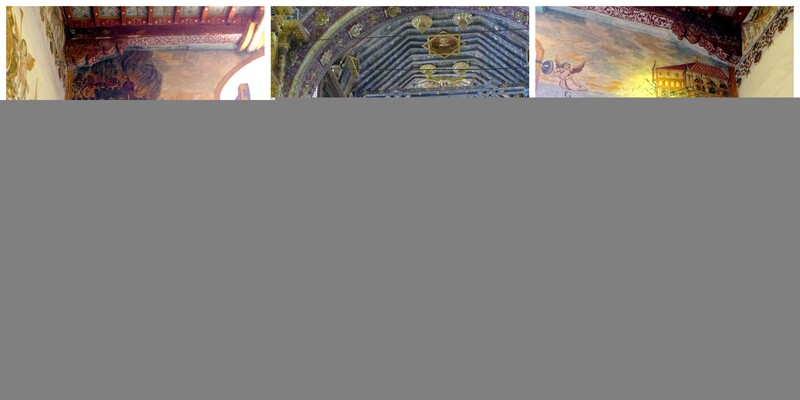 The colors and stories depicted in the murals were in-ten-se! Bits of hints here and there about the devil, afterlife, high society, etc. We then stopped by a second church similar (slightly less murals) to the first then head on over to the Archaeological site of Raqchi. The most prominent structure is the Temple of Wiracocha, an enormous rectangular two-story roofed structure that measures 92 metres (302 ft) by 25.5 metres (84 ft). Prior to its destruction by the Spaniards (those Spaniards! ), this place has many functions. Religious, because the God Wiracocha was one of the most important deities of the Inca Empire, he was the creator of the world; administrative: this place was strategically located to be able to control all the productions of food and ceramics; storage: the tambos was an important place to keep the production safe; and finally military: the presence of the houses of the Chasquis (mailmen) and was used for the training of messengers. Raqchi, also known as the Temple of Wiracocha. We then had 45 minutes for a lunch buffet that had a combination of the best foods in the region. They served soup, pasta, chicken, spicy beef, fish, and fresh salsa picante. One of the favorites was the fried quinoa cheese bread. Everything was delicious and we ate our hearts out. In the afternoon, you can tell half the bus was was worn out and many people would rather sleep or stay on the bus during the last two stops. The tourist bus made the 7-9 hour journey much more bearable and entertaining. For $55 USD (through Loki Travel office at the hostel) it’s not a bad idea. They also serve refreshments throughout and thankfully, the mighty coca tea.